A copy of Hertfordshire’s Local Transport Plan has been published on the Hertfordshire County Council website, the consultation is open for one more week until 23rd January. 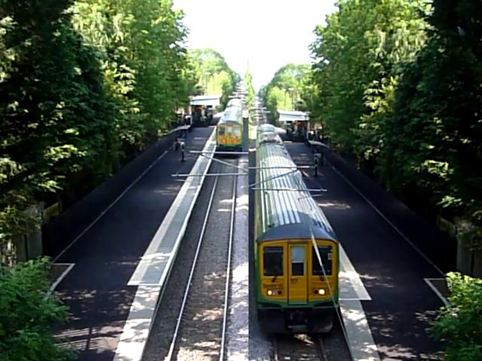 Here are our thoughts on the plan and we encourage you to complete the consultation on the councils website so that the voice of the users of the Abbey Line are heard loud and clear so they can be taken into account at this critical stage for the plan. One of the only issues we have with the Local Transport Plan (LTP4) is that it makes no mention of the reinstatement of the passing loop, which is one of our groups current primary objectives and is clear supported by our recent members survey results. The LTP4 highlights the pressures and transport needs of “Hertfordshire Enviro-tech Enterprise Zone: Covering …. the Building Research Establishment at Garston”, “development at the Radlett Aerodrome site”, “Supporting the development of the major economic growth locations at Watford” as well as “the sustainable delivery of housing growth, particularly at … Watford, St Albans” all of these developments are served by the Abbey rail line. As such we feel that there is a very strong case strongly for the passing loop to be included, this will reduce the environmental impacts of these developments which we feel is extremely important as well as helping to move car users towards rail. Additionally it would have been nice to have had a longer term vision for connecting St Albans Abbey and City stations, this would have tied in nicely with the Councils expectations for the growth of London Luton Airport as well as allow for the smoothing of capacity for people commuting to London by providing increased options for people to travel from St Albans City or Watford Junction for people living along the Abbey Line. Other than the missing of the passing loop, in general we feel that the aims and direction of LTP4 are good and we are pleased to see that the bus way option for the Watford-Abbey rail line has been omitted. We strongly encourage you to speak out and complete the consultation for LTP4, this is a great opportunity to swap the direction of Hertfordshire’s travel policy for years to come.